During NAMM '04 show, Bias announced that the new version of Peak 4.1 will include Roxio Jam - the professional Redbook standard CD burning software for Mac OS X - and SFX Machine LT, a limited edition of the popular multi-effects sound design plug-in. The inclusion of Jam with Peak, creates a complete solution for stereo recording, editing, processing, and mastering. The addition of SFX Machine Lite adds additional sound design features to Peak. Peak 4.1 will be available Q1 2004 for 499 euros. Upgrades from version 3.2.1 and earlier will be 149 euros. Customers purchasing Peak 4 after Jan. 1st 2004 will be entitled to a free downloadable upgrade. Peak 4.1 Post a comment ? After the ION, Alesis decides to reduce the recipy of its VA synth to a smaller package. 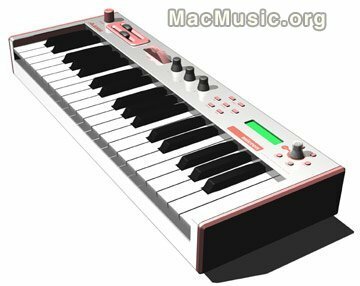 The Micron is a 37 keys VA synth, using the same engine as the ION, and it features 8 voices and 4 multitimbral parts. Each voice is 3 oscillator, 2 multimode filters, 3 envelopes, 2 LFO, Sample and Hold, and a tracking generator. Powercore 1.8 catches a Virus! TC just announced along with the 1.8 version there will be an AudioUnit version of the Access Virus looking a lot like the TDM version. The disease spread from here Post a comment ? 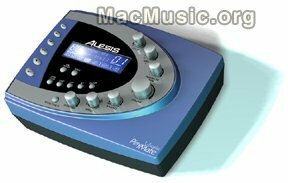 Alesis announced Playmate Vocalist: a vocal remover and microphone processor with a built-in CD player and Vocal Zapper: a ultra compact vocal eliminator. TerraTec Producer, part of TerraTec Gmbh announced the exclusive alliance with Waldorf AG of synth fame. All the forthcoming products from Waldorf will be marketed by TerraTec and a new range of TerraTec product will grow from this alliance.